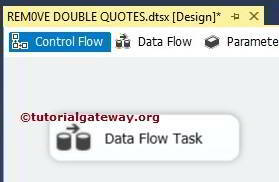 Remove Double Quotes in Excel Sheet using SSIS transformations is the most common question asked by many of our friends and SSIS blog followers. 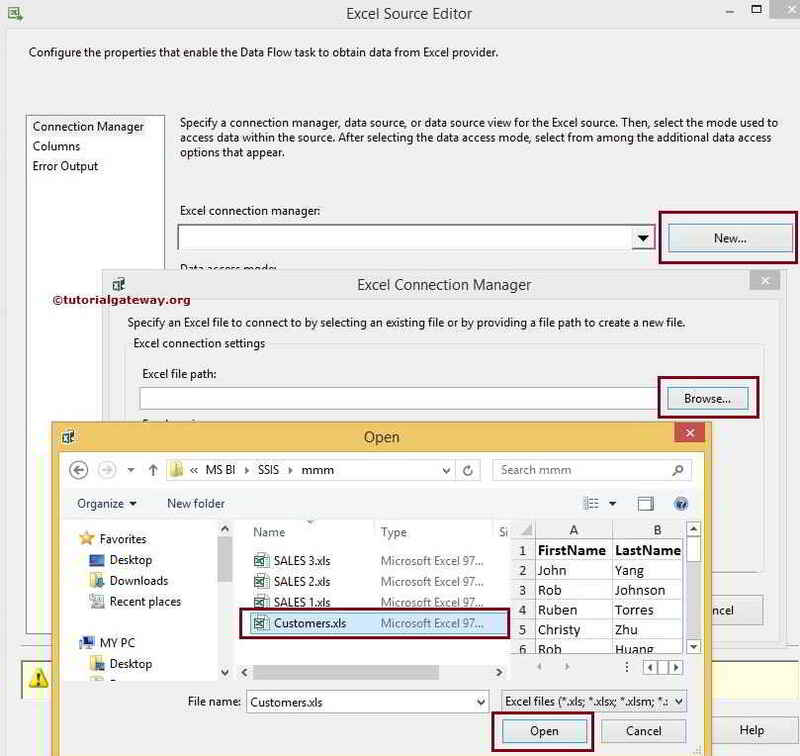 In this article we will show you, How to resolve the issue with live example. 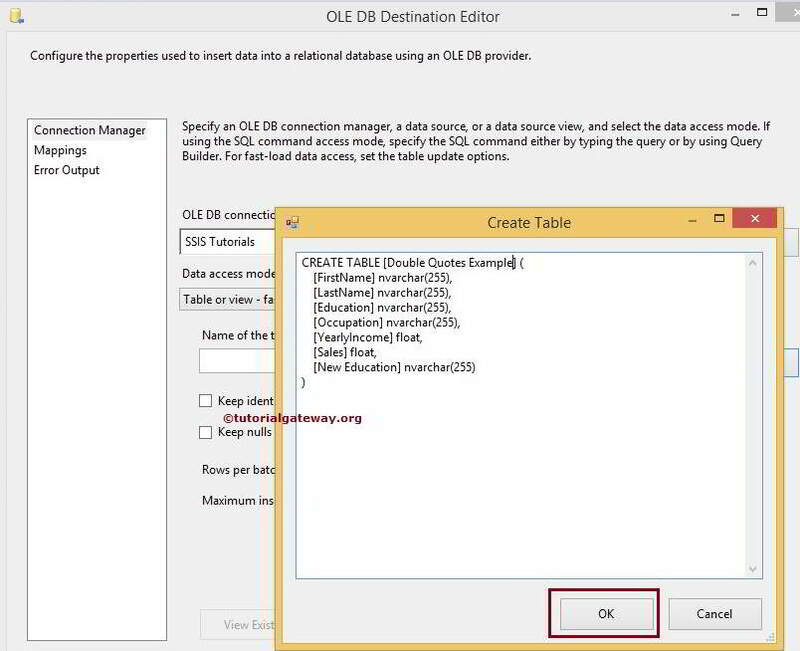 STEP 2: Drag and drop EXCEL Source, OLE DB Destination from toolbox to data flow region. 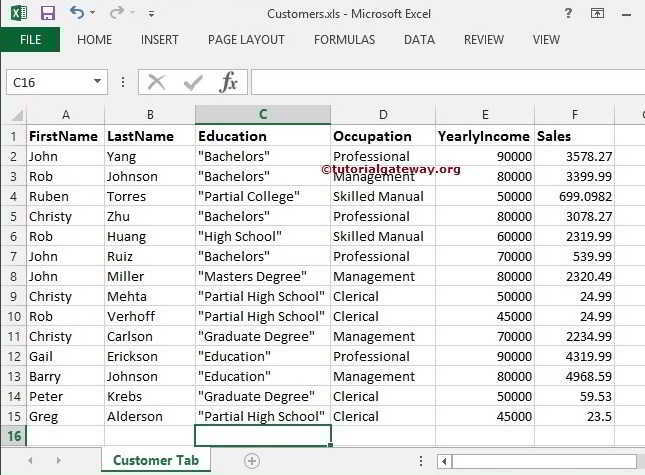 Since our excel sheet holds the column names in the first row, we are check marking the First row has column names option. 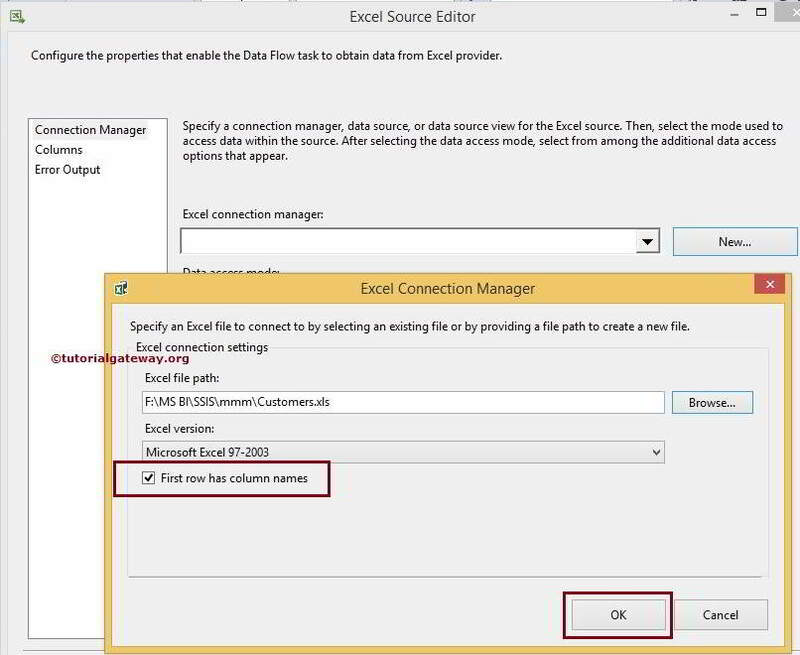 If your excel file is different then don’t select it. 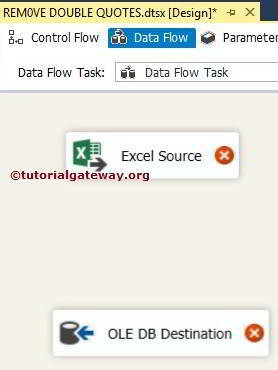 From the below screenshot you can observe that, we are selecting the Customer tab sheet from Customers.xls excel file. 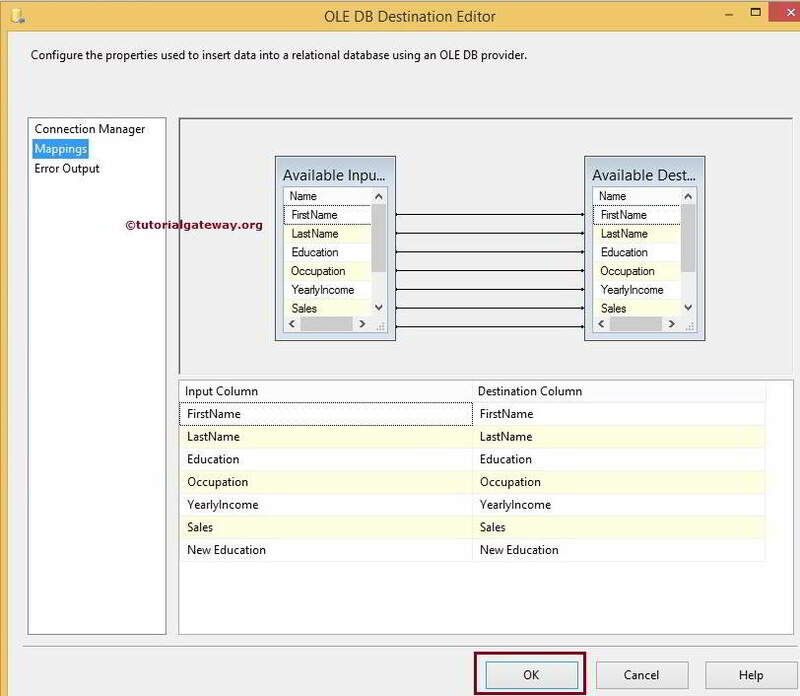 STEP 5: Click on columns tab to verify the columns. 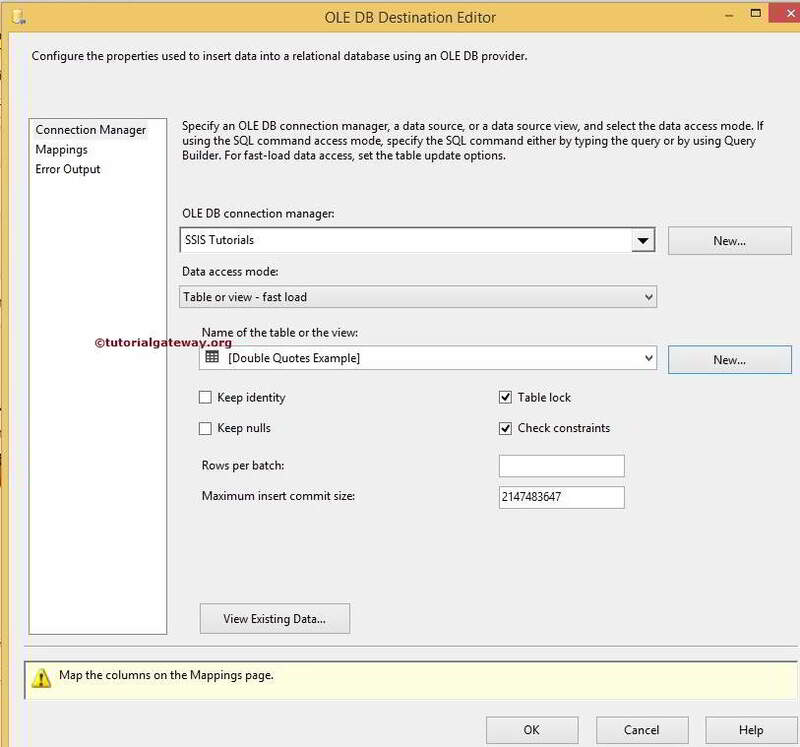 In this tab we can uncheck the unwanted columns also. 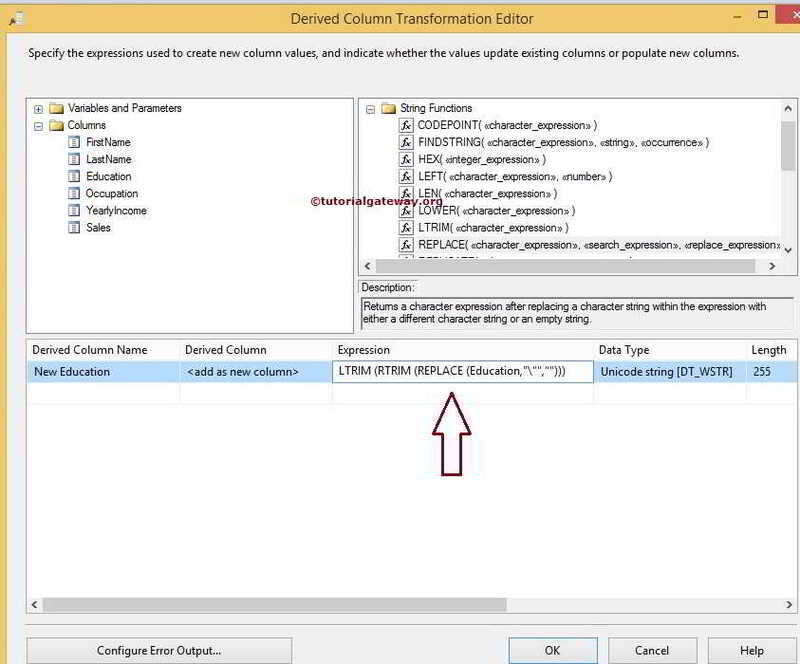 TIP: If we don’t want any column then there is no point to add it in to your SQL command. 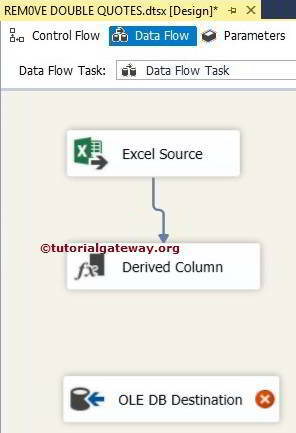 Click OK and drag and drop the Derived Column Transformation from toolbox to data flow region and connect the excel source output to this. 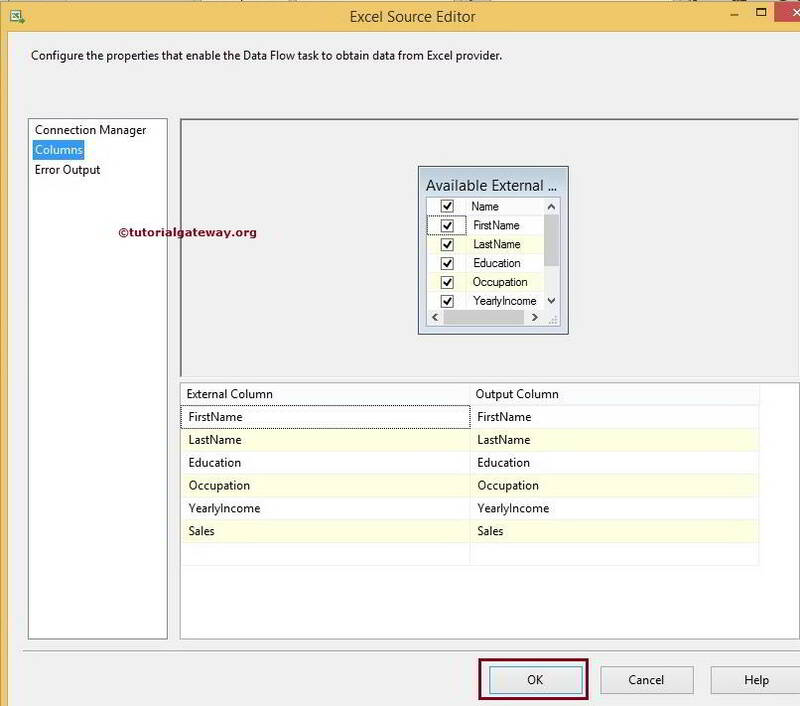 STEP 5: Double click or right-click on the Derived Column Transformation to edit and convert our source columns data. 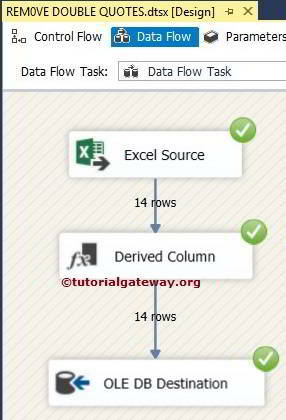 In the Derived Column Transformation editor, we are adding the new column as New Education and added the expression to it. If you observe the Expression code, We used the LTRIM and RTRIM to remove the extra spaces and REPLACE function to replace the double quotes. 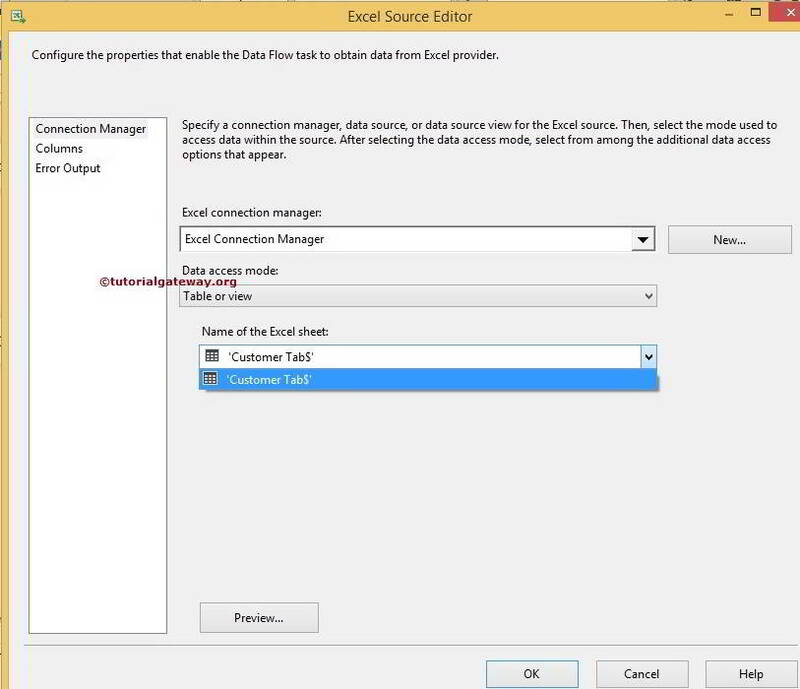 NOTE: It is always necessary to convert data types while transfer from Excel to SQL server database in SSIS. 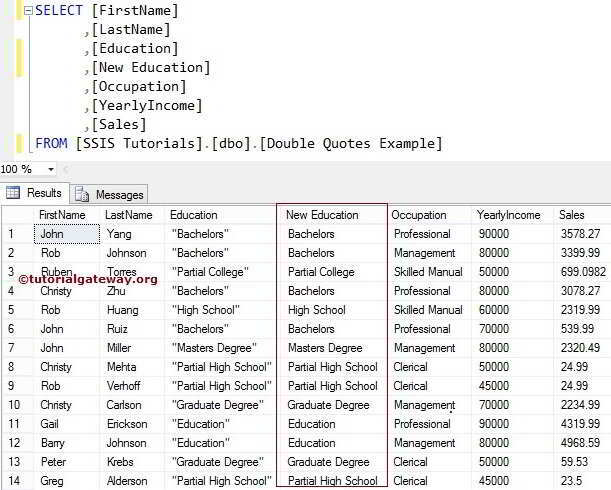 Here, we are creating table with NVARCHAR data types but in real-time, scenarios will be different.